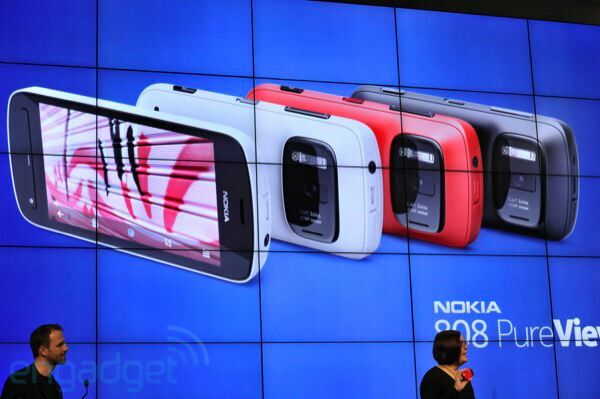 Nokia has introduced a new camera phone -- Nokia 808 PureView -- boasting of jaw dropping 41 megapixel sensor. And if you think it is just one off, no it is not. As according to Nokia, it plans to introduce the same technologies into other handsets in the future too. The high-density sensor comes paired with a Carl Zeiss lens and new pixel oversamplingtechnology. The heavy weight sensor will allow the smartphone to shoot high-detail images at standard 5 and 8 megapixel resolutions while still providing the super clarity of large 38 megapixel images that users can crop down as needed. The high-resolution sensor also means that the phone can record 1080p HD video with 4x digital zoom with no loss of detail. Unveiled on the opening day of ongoing Mobile World Congress being held in Barcelona, spain, Nokia 808 PureView runs on Symbian Belle operating system. 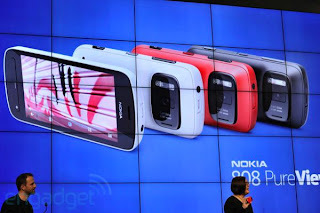 Other than 41-MP sensor, 808 PureView will also come equipped with several multimedia enhancements, including a Nokia Rich Recording, which enables audio recording at CD-like levels of quality. The Nokia 808 PureView also packs Dolby Headphone technology and Dolby Digital Plus for 5.1 channel surround sound playback. There's 512MB of RAM, and 16GB of storage using a microSD. 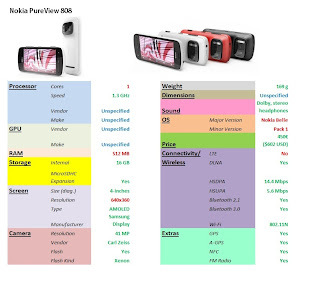 According to Nokia, the 808 PureView will launch in May 2012.